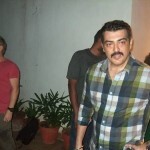 Dear Ajith sir Wish you a Happy Birthday…. Wish you Many More Happy Returns of the day……. May god bless you more success and happiness in this year. You are a King Maker. I wish you a wonderful Birthday sir. Iniya piranthanaal nalvaalthugal. Vaalga Pallandu. my dear thala …wish u happy birthday to u ……unnai vazhutha vayadhuilai vanagukiren….endrum un rasigan…. Wish you Many more happy returns of the day, Thala!!!! Dear thala your the 1 & 1ly thala in TN, wish you happy birthday……. Many Many More returns of the day thala ! You are my real life motivator. wish you many more happy returns. All the best for your upcoming films. Wish you Happy Birthday Ajith. Wish You a Many More Happy Returns of the Day. Wish You a Memorable Happy Birthday. With Respect We always try to follow Your Words and Deeds. THALA – the definition in Dictionary (Tamil Cinema) to mean Honest, Humble, Hardworking. wish u many more happy returns of the day thala……..
wish u many more happy returns of the day dear thala…….. Many More Happy Returns of the Day. Happy Birthday. HAPPY BIRTHDAY MR.AJITH SIR……I LOVE U.. Wish u a many more happy returns of the day thala…. Wish u a many more happy & success returns in your life and career.. Through God’s grace you might ever be in blessed. God be with you all the times. 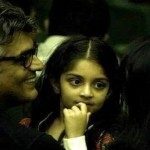 I would be happy if I see our thala grows big and big in the forms of talks and doing. He is doing all good things..
God bless you Ajith Sir. pirandha nal vazhthukal thala:)love u lottt………take care or ur health…. Thala Sir I Wish you a Very Happy Birthday,God Gives you good health and wealth throughout your Life.Enjoy Birthday with family Members Sir. “Wish u a Happy Birth day Born star Thala:…. En Anbu anna Thala Ajithku en iniya pirandanaal vaalthukal…Nee endrum needudi vaala iraivanidam prathikiren endrum un rasigan…. many more happy birthday wishes. …………………………. pls dont take risk in fight scenes. 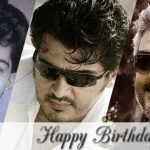 thala wish you the many more happy returns of the day….. Wish you many more happy returns of the day. May this year gives more energy and power to your life. Thala thala thaen..
MY DEAR THALA WISH U HAPPY 42ND BIRTHDAY. UNNAI VALTHA VAYATHILLAI UN PAATHAM THOTTU VANANKUKIREN. I LOVE U MY DEAR KING MAKER. IM VERY PROUD TO UR FAN. THANK U SO MUCH LOVE U AGAIN THALA. Happy Birthday… All the Best..
wish you many more happy returns of the day THALA. u r my inspiration . I Wish U Many More Happy Returns of the Day, U live Long Long Years Ago………………………………………………..
U live Long life Years Hotel Vijaypark Thala Fans. Happy happy happy Birth Day Thala………..Have great life….. Happy Birthday My Dear Thala Ajith…!!! We all love u Extremely! Happy Birth Day Thala…. We love you Sooooooooooooooo Much Thala…. happy birthday my dear thala……………………. Wish you Happy Birthday Thala. Many more Happy returns of the day. May god beless you for your health and wealth. Advance Happy Birthday Mr. Ajith(Mr.Thala)……. All the Best………….Live and Let Live…..
happy birthday wishes. All your wishes comes true. God and ur fans are with you. happy birthday to my dear THALA……..
My Dear Thala Wish U happy birthday thala. we love u so much thala . MANY MANY RETURNS OF THE DAY.WE WISH U A WONDERFUL BIRTHDAY. 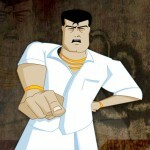 u r one & only hero is like human…………we r extremely love u……………………………by KANDI ROCKS……. Many many more happy returns of the day dear Ajith. May god bless you with good health & prosperity throught your life. U will always be in our prayers & heart as well till our last breath. Proud to have u in our liveys. 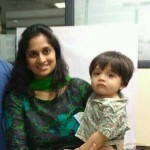 My heartly wishes to gorgeous Shalu & cute angel Anoushka also. Wish u many more happy returns of the day sir….. Many more happy returns of the day Sir. May God always bless you with good health and wealth Sir. When is the Valai Movie Teaser Release……..
Ajith fans can form a strong network and can help the families of fans who r in need of blood, it may save many lives! Many many My dear Thala Happy birthday. Wish u long long life and be happy forever!!! பிறந்த நாள் வாழ்த்துக்கள் தல !!! Happy birthday Ajith sir , we love u always at respect……. Happy Birthday my dear brother Thala!!!!!!!! Happy Birthaday Wishes Thala 42..Thanks for the Teaser as Your Treat….. HAPPY BIRTH DAY THALA MANY MORE HAPPY RETURNS OF THE DAY ………………. Thalaaaaa…… Wish u many more happy returns of the day…. We (Fans) are with you always……..
Unga Nalla Manasuku Neenga Ninaichadhelam Nadakum Thala…..
happy birthday my sweet thala…….. Happy Birthday To My Dear Thala Ajith Kumar…..
wish u many more happy returns of the day thala…. 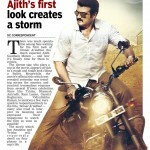 Happy birth day thala…Amazing teaser of thalas 53rd avathar….Thala Rocksss…. It’s just another day, but this one is the best of the year! Happy Birthday my sweetheart. May god bless all your dreams come true.. MaNy MoRE Happy RETURNS of the Day…..
wish u many more happy returns of the day thala…………….. Happy b.day my dear thala.. u r my inspiration.. ur simplicity and good character i love it.. live & lett live words by u sir awesum.. live long happilly with ur family..
dharaniyai aala vantha thannikarillaa thalaivane!!! Happy birthday my dear thala………………………………………………………..
Dear Ajith Sir, Wish you Happy bithday sir. Anbu from USA. NY. 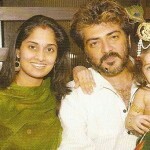 ->Happy Bday to my Dear THALA…..we luv u in all aspects..let god give u good strength and support!!! Salute 4 ur hardwork!!! INDRU NAMADHU THALA AJITHIN PIRANTHANAALAI MUNNITU.TUP MAVATTA THALAMAI AJITH NARPANI IYAKKAM SARBAGA MARA KANDRUGAL VALANGUM VIZHA NADAIPERUGIRADHU .MARAM VALARPOM MALAI PERUVOM. nooru murai in naal un vazhvil vara vazhthugiren. To the King by your people!!!!! Wish u a Happy B’day 2 THALA AJITHKUMAR…. Thala Neenka Ulaiyapal Sathanae Padaithavar Neenkal..!!! many many more happy returns of d day THALAAAAa aaa . . . wishing U a long live . .may god showers all Ur wishes . . . HappY BirthdaY . . . . Happy birthday to my dear thala or ultimate star Ajith Kumar !!!!!!! Happy Birthday Dear THALA !! U r truly a great icon and inspiration 2 everyone ! Dear Thala! Wishing you many many more Happy returns of the Day…..:-))) Nala health thartum than Kadaval ungaluku……By Ravi Shankar,Supriya,Pranav & Prathik……..! WISH U HAPPY BIRTDAY ENGAL THALA. WISH U HAPPY BIRTHDAY ENGAL THALA. wish u happy birthday my dear thala. You are so special…because I really like you. You should definitely feel honored! Happy Birthday! Wish you Happy Birthday,You are a role model for one who wants to achieve in life.My Hearty Wishes Ajith Anna! dear thala, wish happy birthday,,,,,,,,,,,,,,,,,,,,,,,,,,,,,,,,!!!!!!!!!!!!!!!!!!!!!!!! Wish you many more happy returns of the day thala…. Simply Happy Birthday to My Dear Thala. Teaser is super. 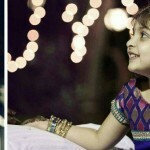 wish u a many more happy returns of the day my dear sweet full thalaaaaaaaaaaaaaaaaaaaaaaaaaaaaaaaaaaaaaaaaaaaaaaaaaaaaaaaaaaaaaaaaaaaaaaaaaaaaaaaaaaaaaaaa………….. 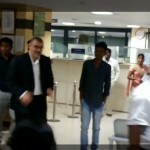 Wish you happy birthday to Thala Ajith Kumar……. We are very proud of you. My Dear Thala Happy Birthday to U sir………..
Indru Bol Endrum Vazha Enadhu Vazhthukkal. God Bless You……………………………………………….!!!!!!!!!!!!!!!!!!!!!!!!!!!!!!!!!!!! Wish U Many Many Happy Returns Of The Day…..
i wish u to meet great heights n ur life……love u rare man. Wish u a many more happy returns of the day. may god can support you to live longer and do more good things in your life…..
U gave me and millions of your fan the unforgettable gift on eve of your birthday. What more i can ask for? Wish u a very happy birthday Ajith. I love you. My name is Evana,from Bangalore.I am 9 years old. Vidyabalan in Ajith’s Next ?